The first time Richard Carranza stepped inside a classroom, he didn’t speak a word of English. Now, decades later and armed with years of experience in teaching and education administration, Carranza has full control of the classroom. In fact, he is the newly appointed superintendent of the San Francisco Unified School District. Carranza’s hardscrabble path from timid student to top administrator culminated this past June in his swearing-in as SFUSD’s superintendent. He succeeded Carlos Garcia, the district’s longtime superintendent and Carranza’s mentor in Las Vegas. “I had worked with Carlos before in Nevada, and I was always just so impressed, but more than that, just motivated by what he stood for,” Carranza said. A native of Tucson, Arizona, Carranza earned a B.A. in secondary education from the University of Arizona. He worked as a high school principal in Tucson and as a bilingual social studies teacher in Las Vegas before becoming the northwest region superintendent for the Clark County School District in Las Vegas. In 2009 he relocated to San Francisco to work for Garcia as the district’s deputy superintendent of instruction, innovation and social justice. Though he’s excited to lead the district under Garcia’s tutelage, Carranza is aware that the new gig comes with significant challenges — most notably, dwindling funding for California schools in an era of slashes and cutbacks, and the perennial battle to close the state’s achievement gap. But despite these obstacles, Carranza is optimistic about the future of San Francisco schools. “If a kid that doesn’t speak English from Tucson, Arizona, can go through school and have the opportunity to one day be a superintendent of the school system, then there’s nothing that’s impossible for any one of our students in San Francisco,” he said. In an interview with Mission Local, Carranza talked about his experience thus far as superintendent, the gains in achievement for Mission schools and what the passage of Proposition 30 really means for California schools. Mission Local: This has been a big year for you and for California educators. Last month we had a landmark election that will have wide-ranging local, statewide and national implications for students. How is everything going for you so far? 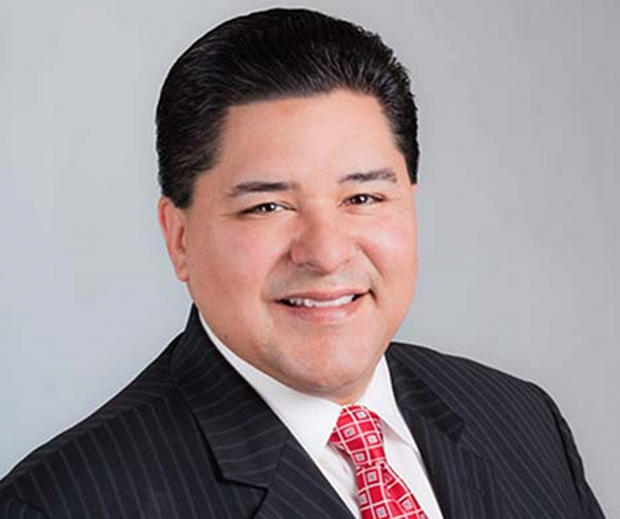 Richard Carranza: So far it’s been great. I’m really making an effort to go out there and meet the community and listen to what folks have to say. I think having been here for three years prior to moving into the superintendent’s role has really been beneficial because it’s not like I’m learning the community or learning what the issues are from scratch. But it definitely gives you a different context and a different role. ML: If you could characterize your experience since the beginning of the school year in one word, what would it be? RC: One word is tough. I would just have to say it’s been a whirlwind. ML: Could you talk a little bit about what you’ve learned since starting as superintendent in September? RC: I think there’s tremendous support for the district really closing the achievement gap. I think in the concept, people are really for it. I think what I’ve also found is that many folks don’t understand what it’s going to take to close the achievement gap. It means that we have to change some of the ways we do business. It’s going to effect what we do to support our community-based partners. It also means that we have to ramp up what we expect of our community-based partners so that we’re aligned, not working for different purposes. I think that also we have some work that’s been done from the superintendent zone, specifically in the Mission, where we’re getting tremendous, tremendous learning acceleration in the schools in the Mission zones. So what we’re doing is really taking a critical eye to understanding why is it that we’re seeing the kind of student achievement results that we’re seeing. What’s behind that. ML: And what [conclusions] have you come to? Because that’s something that we’ve been looking at pretty substantially — these big gains in achievement, especially in the schools in the Mission. Can you point to anything in particular? RC: There’s a number of things. I think one thing that people always say is, you can’t just throw money at education. Well, here’s a perfect example of when you have resources, additional resources that we were able to secure through school improvement grants, and you target those resources very specifically around improving teacher practice in the classrooms — professional development for teachers, being very deliberate about coaching teachers and coaching their practice. And then we’ve also invested in having additional supports for students, where we have intervention teachers that are able to work with smaller groups of kids that have particularly difficult or different needs, and really be able to concentrate on those students. And then what we’ve also been able to do, is there’s this notion — and I talk about this all the time — that we’re moving from a confederation of independent schools to a unified school district. And that scares the pants off of some folks, because they say wait a minute, whoa, whoa, whoa, whoa. That means that you want us all to be in lockstep? You want us to be on the same page, on the same date, across the district? That couldn’t be farther from the truth. What I mean by moving from a confederation to a unified school district is that there are some things that are just non-negotiable. And students reading at grade level is non-negotiable. ML: You’ve talked about how the achievement gap is a social justice issue, and you’ve really emphasized closing the gap. Could you talk a little about how you view this as a social justice issue? RC: At the most pessimistic outlet of the achievement gap, it’s systemic racism. Because there are segments of our population that don’t get exposed to grade-level standards, don’t get exposed to and tutored [in] reading at grade-level standards. So they are systemically being disenfranchised of the opportunity to go to college. Now that’s abhorrent to most people that I talk to. But when you have kids that are performing so far below their peers in the same exact city, in the same exact school district, that’s what it is. If we systemically allow kids to underperform, then we’re aiding and abetting an institutionalized racist system that is keeping kids disenfranchised. So when I say it’s a social justice issue, we cannot say that we believe all kids deserve and have a right to an education if we know there are kids in our system that don’t avail themselves of the [same] opportunities [as] all these other kids. And that’s what makes it a social justice issue, because it’s hard work. It’s not about preaching to parents or preaching to kids. It’s about providing the systems and structures to meet kids where they are and get them to where they want to be. That’s what makes it a social justice issue for us. Because it’s hard work! ML: Right now, many advocacy leaders and educators are still reveling in the November passage of the state’s Prop. 30. What will this mean for California schools? RC: It means that we’re not going to have to cut two weeks off the school year. I think the greatness — and don’t get me wrong, I’m thrilled that Prop. 30 passed — but what it means is that we’re just stopping the hemorrhaging. It doesn’t cure the wound. And the fact that over the last six years, per-pupil funding has been decreased by almost $2,000 per student, that doesn’t change with the passage of Prop. 30, it just holds us steady at where we are currently. So it stops the hemorrhaging. But in light of that, in San Francisco, even with the largesse of the taxpayers, even with all the wonderful support that we have for our schools, we still have a structural deficit. We still spend more money than we take in, and as a public school system, we don’t have the ability to raise money. We can’t charge more for our services. So even with Prop. 30 we’re still going to be cutting about $20 million over the next two years. It’s better than cutting the $78 million that we would have had to cut without Prop. 30, but I just want to make sure that it’s clear that we’re still cutting because of the chronic underfunding of public ed over the last six to 10 years. ML: And are there any different and innovative programs in the Mission aiming to close that achievement gap and rectify the lack of funding that stand out in your mind? RC: Well, I think there’s in every school something really incredible in the Mission. I think overall, what I would say about the Mission is that there’s an incredibly deep-seated historical appreciation of culture — and not one culture, but many cultures. And that is absolutely critically important, that it’s something that we do not want to change. It’s something that we want to celebrate. I think the other thing [about] the Mission is that you have really great neighbors and neighborhoods that comprise the Mission, of people that have been there for generations, that really have a personal vested interest in ensuring that the neighborhood works well, and that it works well for every one of its citizens, including the kids. And that’s just something that you don’t find everywhere. You find it in neighborhoods, but you particularly find that as a strength in the Mission. And then I would say the arts programs in general in all of the schools in the Mission. The cultural celebrations that you find in the Mission, the focus on the whole child, educating the whole child — not only English language arts and math but the science that’s happening in schools. When you look at some of the high schools in the Mission and you look at some of the academies that they have, the types of learning experiences that those students are able to take advantage of, the arts programs, the science programs in conjunction with UCSF, there’s just a myriad of really innovative things that are happening in the Mission. And I think that one of my jobs is to really make sure that the broader public understands just what is happening in the schools, because I’m amazed that when I go out and have conversations with folks, very well-read, very committed San Franciscans, it’s amazing how much folks don’t know about what is really happening in our San Francisco schools, and in particular in the Mission. So that’s one of my major goals, is to really be an unabashed cheerleader for what is happening, the good things that are happening in our schools, while recognizing we have challenges just like every large urban school system in the country. We have challenges. They tend to get a lot of the attention, but there’s some really good things happening in our schools as well.